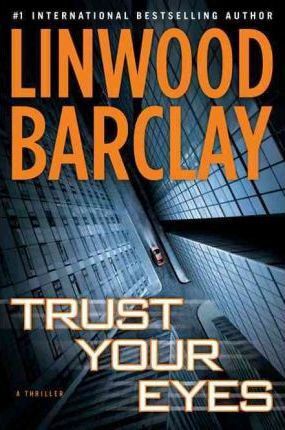 #1 international bestselling author Linwood Barclay's novels have been praised as "compelling" (The Associated Press), "gripping" ("The Wall Street Journal"), and "fast-paced" ("The Washington Post"). Then he sees something that anyone else might have stumbled upon--but has not--in a street view of downtown New York City: an image in a window. An image that looks like a woman being murdered. Thomas's brother, Ray, takes care of him, cooking for him, dealing with the outside world on his behalf, and listening to his intricate and increasingly paranoid theories. When Thomas tells Ray what he has seen, Ray humors him with a half-hearted investigation. But Ray soon realizes he and his brother have stumbled onto a deadly conspiracy. Linwood Barclay, former columnist for the "Toronto Star," is the #1 international bestselling author of nine critically acclaimed novels, including "The Accident," "Never Look Away," and "No Time for Goodbye," which has been optioned for film. He lives near Toronto.